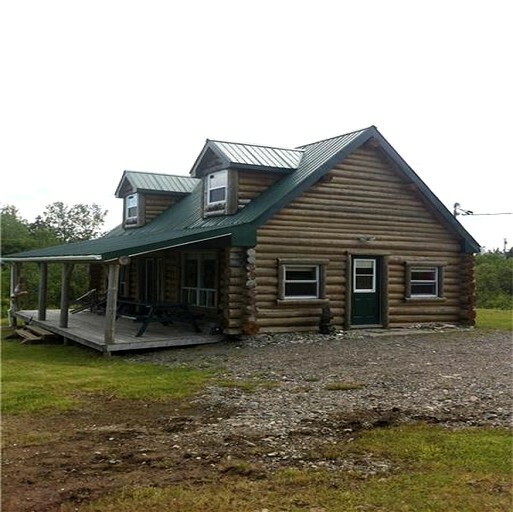 This waterfront log cabin is located in New Brunswick, Canada, in a beautiful wooded setting. 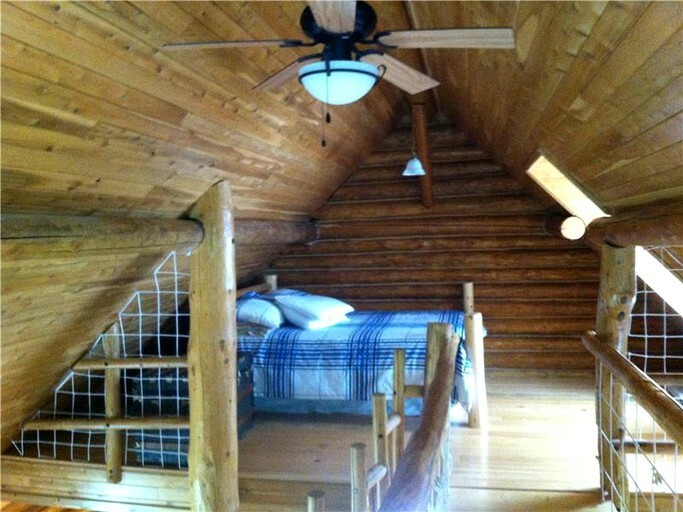 The interior has an open loft layout, sleeping seven guests in one twin bed and three double beds. 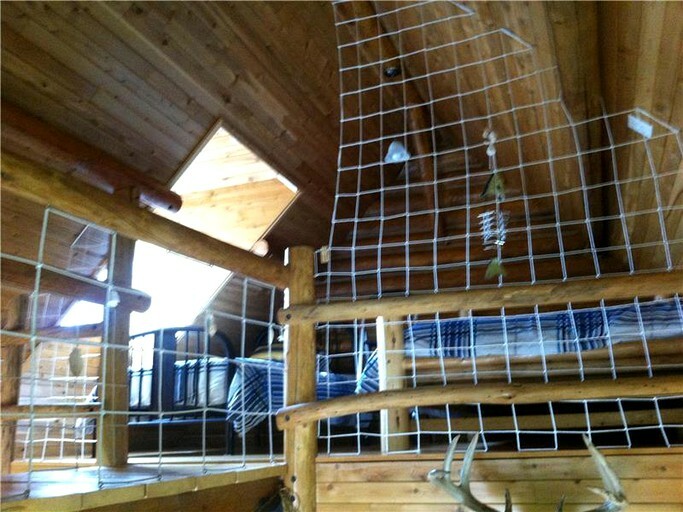 All areas of this rental are in open spaces, with the exception of the bathroom, which is fully equipped with hot water and a bathtub. Linens are provided. 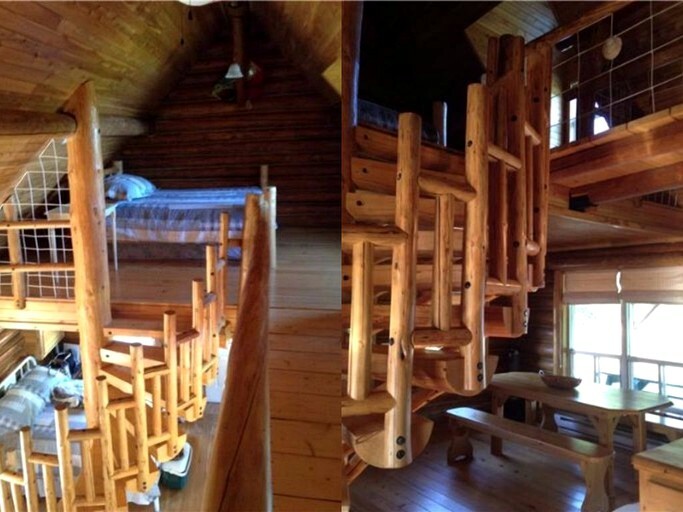 This cabin is fitted with wooden walls, floors, and furnishings, making it the perfect woodland retreat. 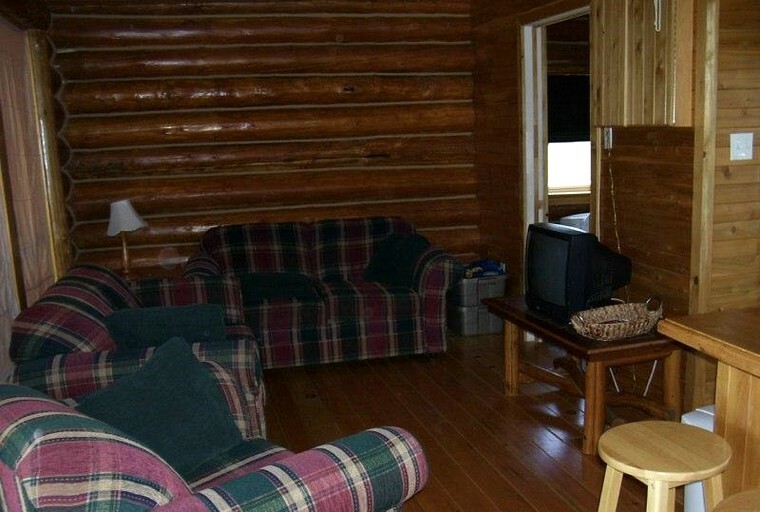 In the living room, there are comfortable couches and a television for guests to relax. 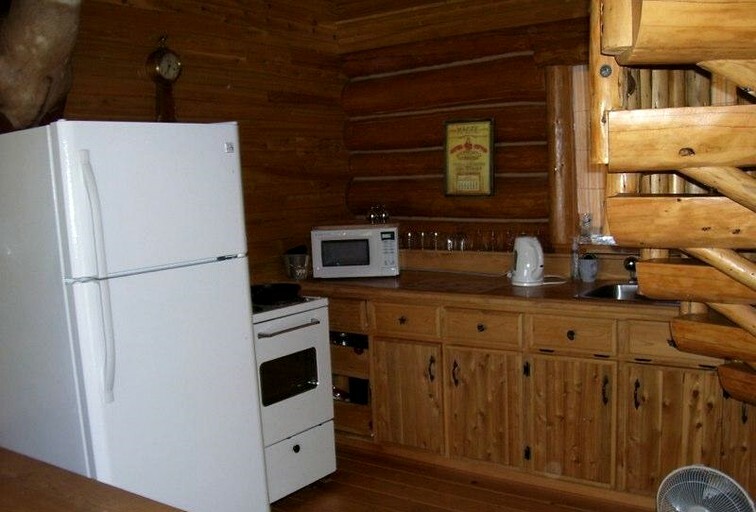 The fully equipped kitchen comes with all appliances and utensils needed for cooking up home-made meals. Guests can enjoy their delicious meals on the wooden picnic table just off of the kitchen. 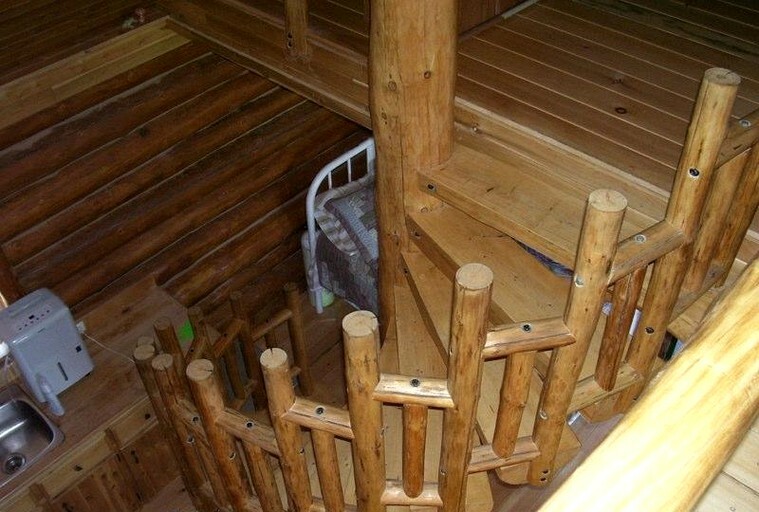 This glamping accommodation comes with a satellite television, firewood, and hardwood floors. Outside, guests can enjoy the front porch with a picnic table, as well as a firepit where guests can cook right over the fire. Guests have access to a kayak and life jackets to enjoy the outdoors. The location of this property is perfectly suited for nature lovers and those looking for an untouched rural landscape. 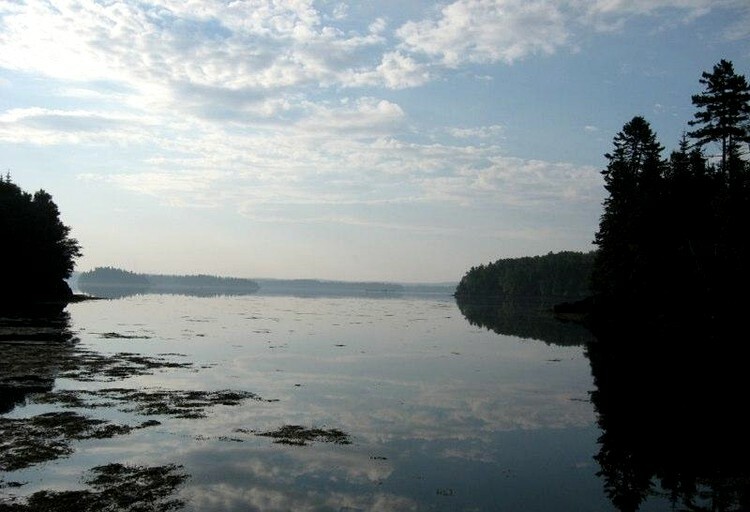 The coast of the Bay of Fundy hosts a variety of water-sport activities, from sea kayaking to scuba diving, and the area is well-known as a haven for the endangered North Atlantic Right Whale, which brings in whale watchers from around the world. 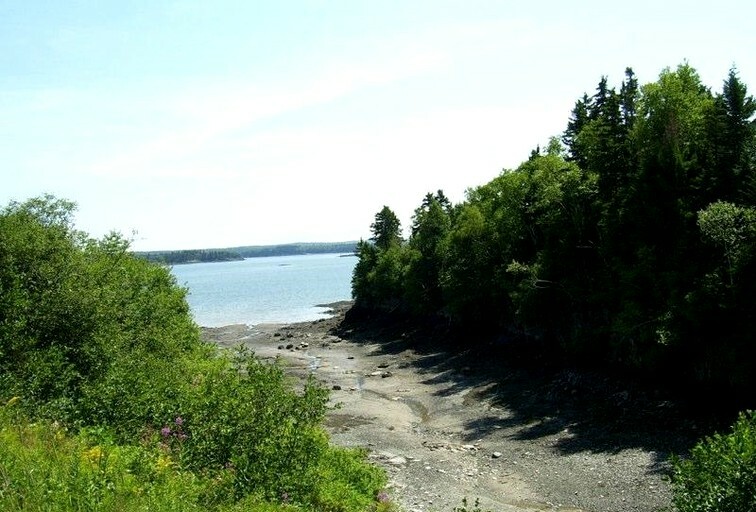 Deer Island can be accessed via a quick ferry journey and is home to a variety of nature reserves and hiking trails. For a touch of something more urban, the town of St. George offers waterfall tours and a range of lively shops and restaurants. An air mattress and extra bedding are available for larger groups. Pets are allowed with restrictions, and this is a non-smoking property. Check-in is after 05:00 PM and check-out is before 12:00 PM.